Who is The Bachelor 2016 winner? After the six episodes of Ben Higgins’ search for a wife on Season 20 we are down to the final six and who wins is still not 100% certain – some obvious women that don’t stand a chance and were just being kept around for ratings (Yes, Olivia Caridi, we mean you). The Bachelor 2015 spoilers tease that at the final rose ceremony Ben Higgins does get down on one knee and proposes to one of the lucky ladies – and it is probably exactly who you think it will be. This season is shaping up to be a rather predictable one. According to The Bachelor 2016 spoilers from Reality Steve – Lauren Bushnell is the Season 20 winner and gets the final rose from Ben Higgins, in an over the top proposal only suitable for national television. The infamous blogger has been wrong in the past, but all signs are pointing to his spoilers being 100% accurate so far this season. 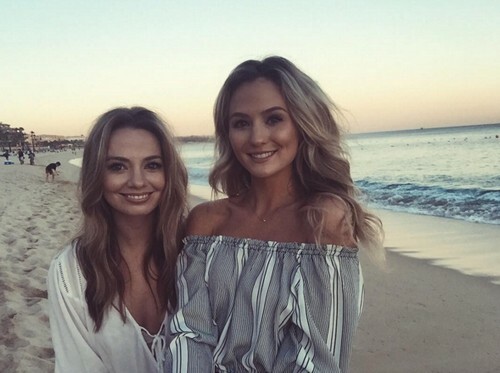 And, any doubt that we did have about Lauren Bushnell being the winner were washed away when she cleverly had one of her friends “accidentally” post a photo on Instagram of her rocking an engagement ring. So far on Season 20 of The Bachelor, Lauren Bushnell has been one of the only women that has some obvious chemistry with Ben Higgins, is compatible with his wholesome faith-based background, and hasn’t let her crazy flag fly. Sources close to production say that it was obvious from pretty much day one that Lauren Bushnell would be crowned the Season 20 winner, which is why she hasn’t been getting a whole lot of screen time on the reality show – another desperate attempt on behalf of the producers to not give away the already spoiled ending. So Bachelor fans, have you been tuning in to Season 20? Are you surprised that flight attendant Lauren Bushnell is who wins and gets the final rose and is crowned the 2016 winner? Do you think she and Ben Higgins will actually get married, or will their engagement be as hopeless and fake as other previous Bachelor couples? Share your thoughts in the comments below and don’t forget to check CDL daily for more The Bachelor 2016 spoilers and news.